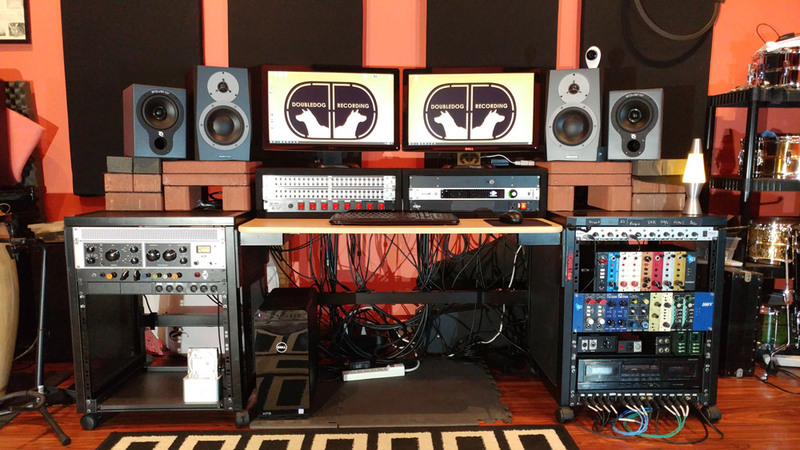 Welcome to the latest installment of Show Us Your Space, our series that explores and celebrates the unique music-making environments of studio owners, builders, and musicians at all levels. While we've showcased landmark recording studios like Jimi Hendrix's Electric Lady in New York City, we've also taken great pride in showing off unique spaces built and used by working musicians, like Austin-based blues-rock guitarist Eric Tessmer's apartment/rehearsal space hybrid. 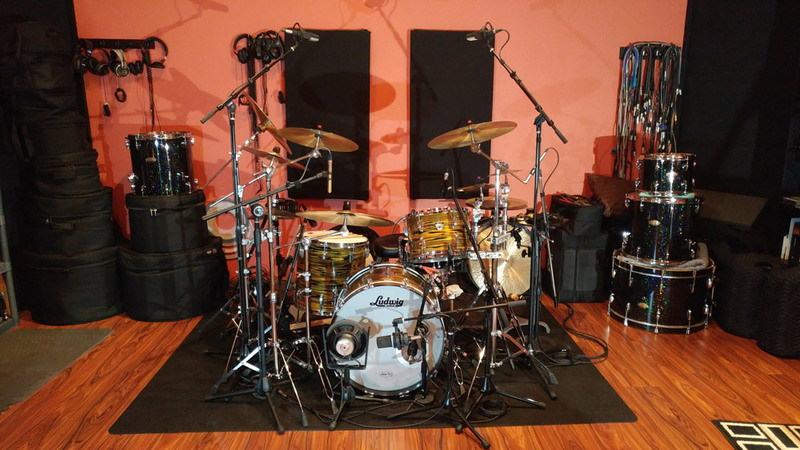 Today, we're heading back to Texas, where drummer, engineer, and studio builder/owner Mike Kosacek runs a single-room project studio he calls DoubleDog Recording. 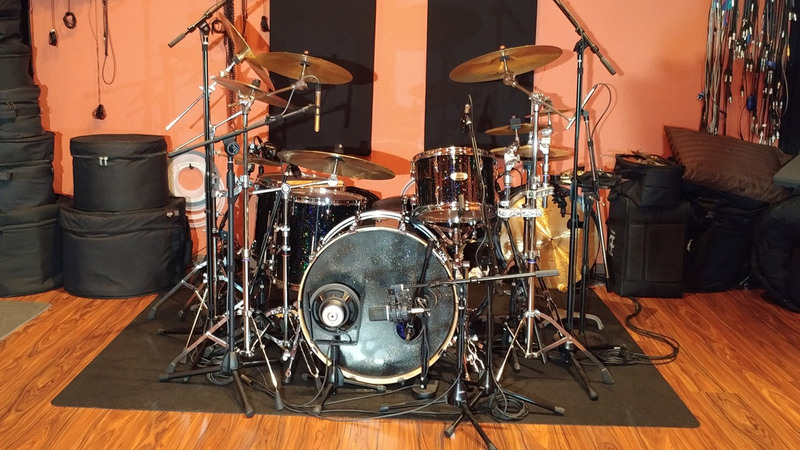 What's particularly interesting about his space is that he not only uses it to record bands and solo artists, but also records drum tracks personally for artists all across the country that hire him through his website Studio Drum Tracks. Below, Kosacek takes us through his studio, highlighting how he imagined and built out the space. Have you assembled an awesome music space that you want to show off? From bedroom production rigs to historic concert halls, we're interested in seeing and sharing it. Contact us at showusyourspace@reverb.com. For more information on DoubleDog Recording, check out its website here. Doubledog Recording is a privately owned recording studio in Round Rock, Texas, which is located about 20 minutes north of Austin. The studio is located on the same property as my residence and was built in late 2009. I designed it as a single room studio because that gave me the largest space for recording drums, but also because I've always liked recordings that were "live" off the floor and the whole band played together. The studio is 25' x 19' with 15' vaulted ceilings—and it's versatile enough for both mixing and tracking. It is loosely based on "golden ratio" dimensions, which are known to reduce the occurrence of nodes or standing waves. In other words, I tried to choose specific dimensions for creating a great sounding room. The room really does sound great. I designed and installed the acoustic treatment after researching online and consulting books about studio acoustics and design. The studio has a warm, but natural decay that is great for drums and great for vocals, guitars, horns, and pretty much anything. Whether it's a live recording session or a rehearsal with one of the local bands I play with, I always get comments about how natural the room sounds. The 2x6 wall construction with 2 layers of sheetrock inside and a brick exterior is enough to keep unwanted sounds out and my closest neighbors happy. The thick walls, insulation, and mini-split system AC can keep it cool even in the middle of a Texas heatwave. Most of the time I use the space tracking drums for people that contact me through my site www.studiodrumtracks.com. They will send me tracks (usually .wav or .mp3) and I will add drums, or replace programmed tracks or drum machines. 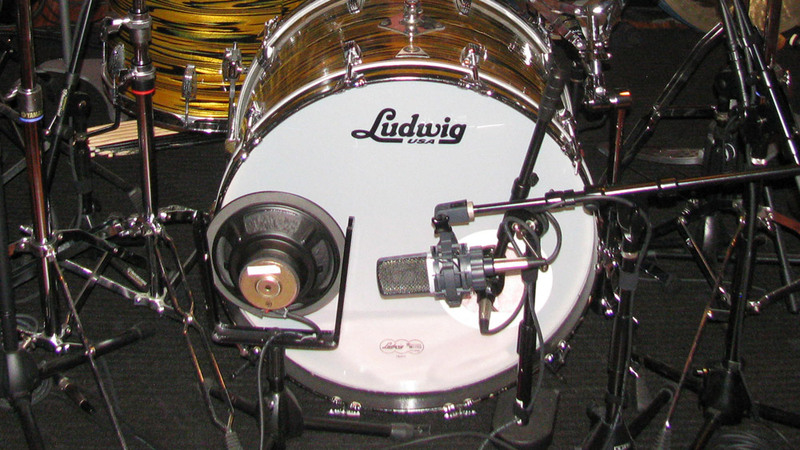 I have recorded acoustic drums on hundreds of songs for people around the globe. I try to make it affordable for songwriters, but always strive to provide the highest quality audio and a performance to fit the song. The other part of the time I use the space for recording bands or solo artists looking to expand their sound. For some of these I'm also the drummer, but for others I'm just the engineer. 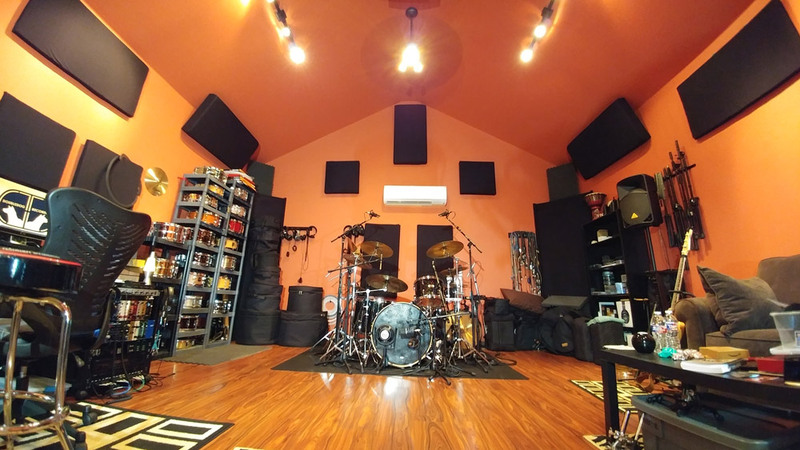 (And producer, mixer, and mastering engineer when needed…) The single room encourages a full band performance and I've even tracked a live, seven-piece band with horns and vocals. However, with some artists, we track layer-by-layer too. I have several drum kits in the studio, ranging from vintage to modern. 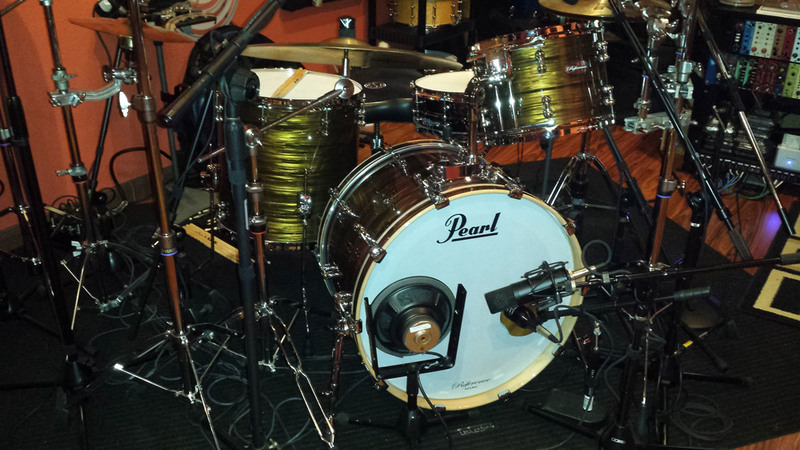 Some of those include a late-'60s Ludwig, a Pearl Music City Custom and a Pearl Session Studio Select. I have a large assortment of snare drums and cymbals to choose from as well. 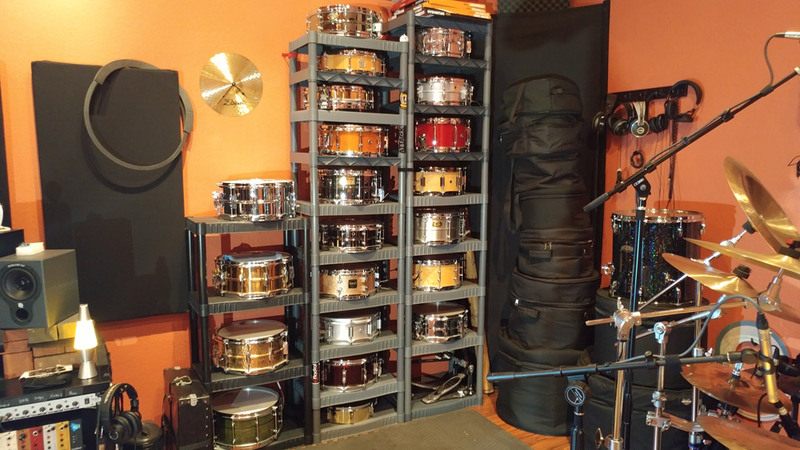 Friends tease me about how many snare drums I have, but I use every one of them. I have each one tuned to a "sweet spot" so that I can just grab one off the shelf and try it for a song. Sometimes I may tweak the tuning a bit, and other times I swap snares a couple times before finding the right sound for the song. One of the challenges of remote recording is finding that drum sound and energy that fits the artist's style and the acoustics of the song so that it sounds like it was recorded by a live band (even if it wasn't). My digital recording system is based around a Dell XPS running Windows 10 and Avid Pro Tools 2018 through a Universal Audio Apollo 16. 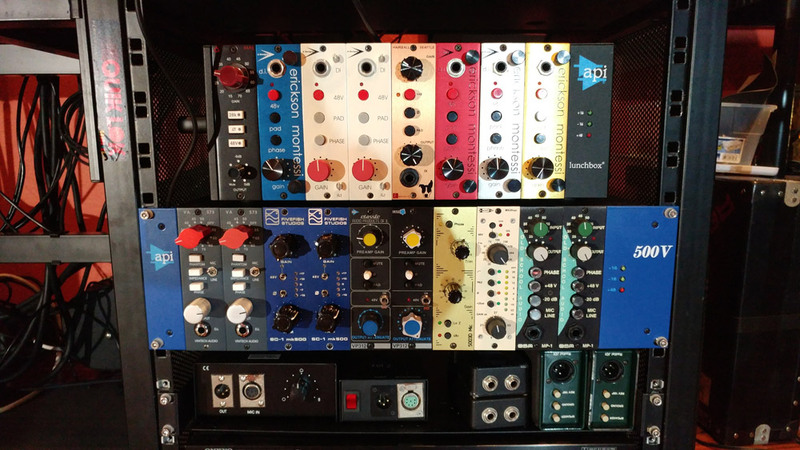 The analog front-end is mostly 500 series microphone preamps. This allows me to pick and choose a sound color that gets me the optimal sound for each drum mic, and when recording guitars, vocals or other instruments. While I've gone back and forth with various outboard processing, plugins from Slate Digital, Soundtoys, Waves, and UAD have impressed me enough to part with most of my other outboard gear. Some of my favorites include the Virtual Console Collection and Virtual Buss Compressors from Slate Digital, the Devil-Loc from Soundtoys, and the UAD compressors. I don't really have the space (or income) for a bunch of vintage LA-2As and Fairchilds, so it's nice to have them available when you need them. DIY is also a big component of my studio. As previously mentioned, I designed the building, did some of the construction, and installed the acoustic treatments. I built my own passive monitor controller that switches between my Dynaudio BM6A mkii or Equator D5 monitors, racked a Yamaha PM-1000 preamp (from a 1970s' console), built "gobos" for sound separation, and built my own "subkick" bass drum microphone. I've also built preamp and compressor kits from Hairball Audio, FiveFish Audio, and Classic Audio Products Inc. (CAPI). Having a comfortable and awesome sounding studio right out my back door is incredibly convenient, but it makes me not want to go to sleep!